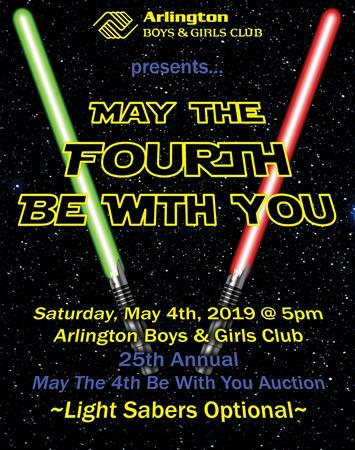 The Arlington Boys & Girls Club 25th Annual Dinner Auction is just around the corner. "May The Fourth Be With You" - our Star Wars themed event is sure to be the best one yet! We have designated tables for Rotarians again this year, so please let me know if you would like to attend and sit at a Rotary Club of Arlington Table. You can buy your tickets individually at www.bgcsc.org/may-the-fourth-be-with-you. General tickets are $50 each and VIP tickets are $100 each. Both include an amazing dinner courtesy of Angel of the Winds Casino Resort. Our Mos Eisley Cantina VIP room is open from 430p to 545p with a hosted bar and appetizers.